Malaria is often dubbed the scourge of humanity, but it would be more precise to say that it is the scourge of the poor. The mosquito-borne infectious disease does not affect wealthy industrial nations, save for a few tourists who bring it back with them from their travels. This is partly due to environmental factors. A few decades ago, mosquitoes belonging to the Anopheles genus, which can transmit the disease while feeding on the victim’s blood, contributed to the spread of malaria in Europe. Then marsh draining eliminated Anopheles mosquitoes from the region. But in some developing countries environmental conditions allow the mosquitoes to thrive. The spread of the disease is exacerbated by the unavailability of products such as protective clothing, bed nets, insecticides and medication. More deaths than previously assumed? 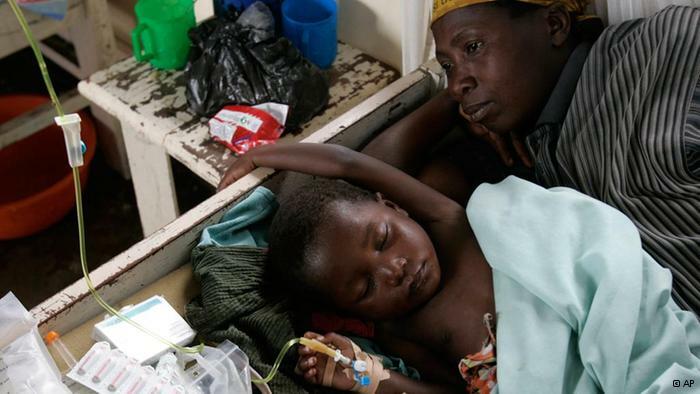 The World Health Organization collects statistics on deaths due to malaria. According to its figures, 655,000 people around the world died of the disease in 2010, a large number of them young children. But a new study, published by a team of US scientists in “The Lancet” medical journal on Friday, indicates that the number of deaths could be much higher. According to its calculations, the actual number of malaria deaths in 2010 was nearly twice as high as the WHO estimate: around 1.2 million. The study’s other major finding is that children over the age of five as well as adults die of the disease much more often than previously thought. This is surprising, as the accepted medical theory is that young children who survive the disease develop immunity to malaria and are less likely to die from it at an older age. According to Professor Christopher Murray from the University of Washington, the study’s lead author, previous estimates were based on the total number of infected persons and the likely death rate. 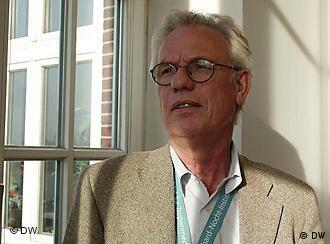 His study, however, used data and computer modeling to build a historical database for malaria between 1980 and 2010. It took into account the standards of medicine and hygiene in countries surveyed as well as the availability of mosquito nets, medicine and insecticides. The scientists admit that there can be no absolute certainty that the figures are correct. But the finding that malaria deaths are more common than previously thought poses some difficult questions, Murray said. “The finding that there is more malaria death than we thought in a world were funding for global health in the coming few years may be pretty constant and not growing in the pace that we have seen means there is going to be some very difficult issues about competing priorities,” said Murray. Despite the new findings, the World Health Organization (WHO) said on Friday that it stood by its figures. A verbal autopsy refers to a process in which a patient has died, and his caregiver tells the official writing down autopsy details, ‘The person had a fever – it must have been malaria,’ even though there is no proof that malaria was indeed the cause, Hartl explained. Stephen Lim, one of the new study’s co-authors, dismissed that criticism. The scientists examined numerous cases in which malaria was the proven cause of death, together with the verbal statements accompanying them, Lim said, arguing that they showed that the effectiveness of the “verbal autopsy” method had been underestimated. Nevertheless, Lim agrees that the death rate among young children is still the highest. He also contends that survivors build up immunity to the disease, while noting that the level of immunity may not be as high as previously assumed. Professor Rolf Horstmann, head of the Bernhard Nocht Institute for Tropical Medicine in Hamburg, claims that while the theory about immunity development is true, malaria survivors only develop partial immunity to the disease. He believes the findings of “The Lancet” study are credible and that its approach was more thorough than that of some other studies. However, Horstmann noted a weak point in both the WHO and “The Lancet” estimates: the uncertain factual basis. He pointed out that both approaches involve making projections. In any case, Horstmann said that the ultimate goal is to eliminate malaria altogether. One of the world’s deadliest diseases is, after all, preventable.